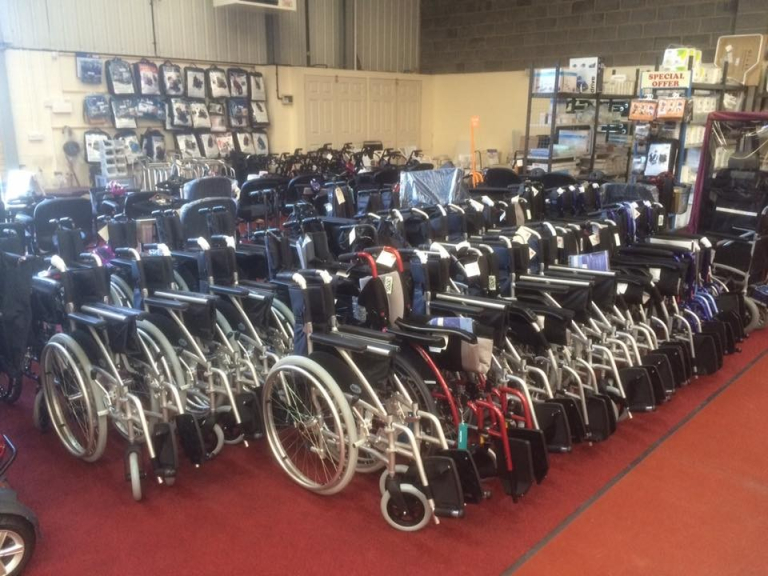 Disable Aids (Cannock) Ltd provide an extensive range of mobility products including wheelchairs, scooters, stairlifts, walkers and more, all at value prices with expert knowledge and friendly staff. Disable Aids (Cannock) Ltd are a family based business established in 1982, that supply a wide range of mobility products including wheelchairs, stairlifts, walkers, scooters and more. The business is built upon the warm and friendly service provided, and the expert knowledge of the staff. Please mention thebestof Cannock when contacting Disable Aids (Cannock) Ltd. Disable aids Cannock Ltd have in stock ready for you to collect 3 and 4 wheel walkers of all different sizes and heights. Whether you require a lightweight walker so that it is easy to lift in and out of a vehicle or something that will help you carry an item around your house. Disable Aids can show you examples of all available walkers in the spacious Cannock showroom. 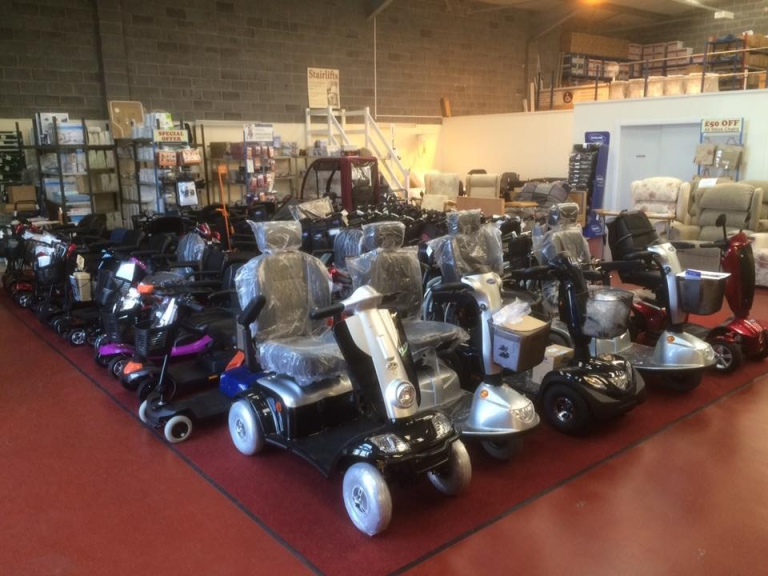 A wide range of scooters are stocked at Disable Aids Cannock. All models are available to 'test drive' so that the perfect scooter can be found for your requirements. The stock includes long and short range scooters, and many that can be dismantled for ease of transport. An extensive range of scooter accessories is also held. Disable Aids Cannock Ltd is the only showroom in the whole of the Staffordshire area to have a curved and straight stairlift fitted and working for your demonstration. Please feel free to come to the showroom for a trial and the helpful staff can advise to which would be best suited for your needs. Disable Aids can offer a no obligation assessment of your stairs and provide a quote to let you decide if it is the right one for you. Stairlifts are in stock ready for immediate fitting. For peace of mind Disable Aids carry out the fitting and all after service requirements you may need. Whether you require a walking stick, walking frame or crutches Disable Aids have them all. The friendly staff will assist you with choosing the correct aid and size for your needs. Disable Aids can also provide all the extra's you may need like a new ferrule or strap. Disable Aids Cannock can advise on, and supply all types of ramps to provide access to your home and / or vehicle. Types of ramps include traveler ramps, portable ramps, suitcase ramps and threshold ramps. To make bathing as safe and as comfortable as possible Disable Aids Cannock can advise on and supply every conceivable bathing accessory. The range includes bath lifts, grab handles / rails, stools / seats, steps and even anti scald bath plugs. There is a great bathroom area within the large showroom where these products can be seen, tried and tested. You may well spend a large part of your day sitting down, but is your chair as comfortable and practical as possible? 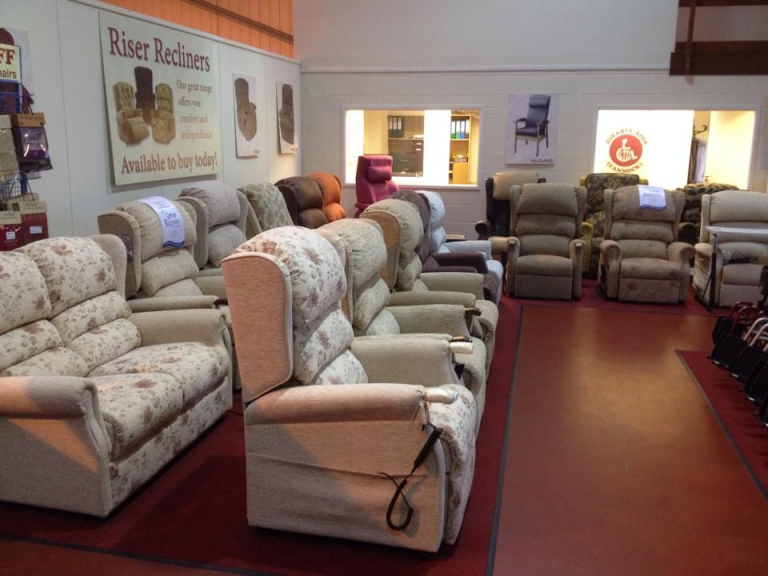 Why not contact Disable Aids Cannock and try out some of the recliner chairs. Disable Aids have the largest range of styles, motors and fabrics and can provide a range of furniture to suit your needs. Chairs range from classic 'high seat' chairs to motorised riser / recliner chairs. A range of leg rests are available to complement your chair. A range of commodes and other toileting aids are available at Disable Aids Cannock including toilet seat risers and frames. Disable Aids Cannock Ltd stock a huge range of pads and protectors, please contact the professional and friendly staff to discuss your requirements. Disable Aids are aware that sometimes these items are required quickly, so feel free to visit the Cannock showroom to collect anything you need. On many occasions there are customers or family members that are due for discharge from hospital and require a bed that quickly that will help improve their well being. At Disable aids Cannock Ltd there are various styles of beds in the showroom for you to try. Not only do they have the luxury style adjustable beds but also the hospital style beds with built in cot sides. Disable Aids can provide full pressure relieving mattresses to prevent any risk of pressure sores. The specialist beds are fully profiling and can help users stand to their feet. Please see the pdf download section for more details. There are many useful products to help around your home, these include gripping aids, key safes, trolleys, special cutlery etc.... please call Disable Aids Cannock to discuss your requirements. Disable Aids Cannock Ltd has a fully operational workshop on site and are able to collect your mobility items and bring them into to the workshop for repair or servicing. Disable Aids are more than happy to collect and provide a full quote before any work is carried out. Disable Aids have 5 engineers on the road servicing over 450 nursing homes equipment so you can be sure you are in good hands. Disable Aids can provide an extensive range of equipment for the home or nursing home environment with a reliable back up agreement to compliment that service. Thanks for all your help and sincerity in getting me mobile again. Thanks very much, a very satisfied customer. First class service from Chris (sales) and Steve (engineer). My needs regarding my new chair were met with great civility. Nothing was too much trouble! Thanks lads.